The purpose this website is to help visitors to Rome get the most out of their visit by suggesting sights and tourist attractions that range from ancient historical ruins to holy places displaying incredible works of architecture and art. The Italian city of Rome, known as the Eternal City, with numerous ancient monuments and galleries, has been a major tourist attraction for many centuries. Over recent years, the city has undergone a facelift with an extensive restoration programme. Many of the streets and squares have been repaved, and fountains cleaned. Although a busy city with a labyrinth of ancient and modern streets, in central Rome it is reasonably easy to find your way around. 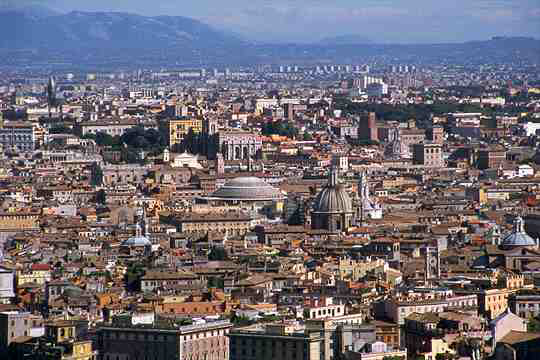 The river Tiber divides Rome from north to south, with most of the historical attractions located on the east bank. Rome’s most impressive ancient ruins, the Roman Forum and the Colosseum, are both located between the Capitoline and Palatine hills. 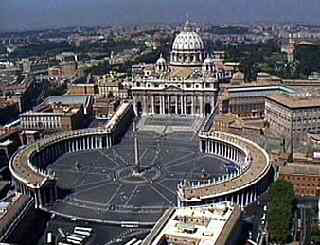 The Vatican sits on the west bank, as does the, bustling Trastevere area. The Vatican, built on the site where it is claimed, Saint Peter was crucified, is a tiny, independent city that was founded in AD 90. Later Pope Leo IV encircled the area with an imposing 12 metre high wall, which has been expanded over the centuries to surround more and more land. The Vatican was confined behind its own walls after Italian Unification in 1870, and has existed as an independent state since 1929. The Vatican, as a separate entity from the rest of Rome, sets its own rules for visitors, the main sights observe a strict dress code, you will be expected to wear clothing that covers both legs and shoulders. If you wish to get in touch with us for any reason, please feel free to visit our Contact page, we would be happy to hear from you.